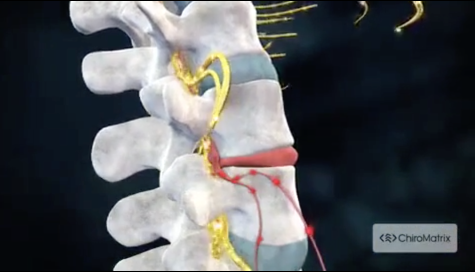 A safe, non-invasive way to accelerate healing and treat pain. Call today or schedule an appointment to learn more about this staple of physical therapy. A flexible tape applied to injured muscles, helping stimulate circulation through its tug on skin, allowing for better metabolic function while performing. Call us at (267) 454-7158 today. For more information or to schedule an appointment with our Warminster chiropractor, call (267) 454-7158 today! Dr. Albert Latronica is a chiropractor serving Warminster and the surrounding area. Our chiropractor and the rest of the welcoming team at Latronica Chiropractic are committed to providing chiropractic solutions to address your unique needs, whether you are experiencing back pain, neck pain, headaches, or even muscular tightness and tension. You may be searching for pain relief after an accident, experiencing an injury, or if you suffer from a specific condition like chronic back pain or a spinal condition. Even if you looking to improve your overall health, our chiropractor can help you attain your everyday wellness goals! Visit our testimonials page to find out what our patients are saying about our Warminster chiropractor and our chiropractic care plans. At your first visit to Latronica Chiropractic, Dr. Albert Latronica will explain how chiropractic care works and give you a full evaluation to see if our chiropractic solutions are a good fit to address your needs. If there is a good fit, we can customize a plan of chiropractic care for your condition and health goals. If you have not been to a chiropractor before and want to find out more, please email us or call (267) 454-7158 to receive the answers to your questions from our experienced team. We also welcome referrals, so we invite you to share our chiropractic and wellness information with your friends and loved ones. I want to invite all of you to watch our Live Facebook discussion every Friday at 11 am. We have a variety of subjects and you get to write in and be part of the talk. Dr. Albert Latronica is a chiropractor specializing in whole-body wellness, injury rehabilitation, sports medicine, and pain management solutions. With more than 30 years of experience, Dr. Latronica serves residents of the greater Bucks County area at his state-of-the-art practice, Latronica Chiropractic, in Furlong, Pennsylvania. Dr. Latronica is passionate about helping people attain optimal health through spinal alignment, lifestyle modifications, and wellness coaching. As a chiropractic physician, Dr. Latronica seeks to correct the underlying cause of a problem, not simply treat its effects. This whole-person treatment approach relies, in part, on empowering patients to take an active role in their wellbeing and recovery. That’s why the lifestyle adjustments that Dr. Latronica recommends are as important for restoring health and function as the natural therapies and interventions he uses. Although his primary passion is chiropractic care, he’s also a lifestyle adviser and wellness expert, a dynamic speaker, teacher and lecturer, a nutritional counselor, a reliable expert witness, and a certified chiropractic sports physician. After receiving his Doctorate in chiropractic medicine from the Life University in Marietta, Georgia, Dr. Latronica attended New York Chiropractic College to become a certified chiropractic sports physician. As a member of the American Chiropractic Association Sports Council, Dr. Latronica received the ACA Sports Council Outstanding Service Award. He’s served as both chairman and president of the Pennsylvania Chiropractic Association. He’s been a treating physician for the National Football League, the Association of Tennis Professionals, and the professional cycling community. He was also a treating chiropractor for the 1996 Summer Olympics in Atlanta, Georgia. Over the years, Dr. Latronica has helped countless patients find long-term recovery from spine-related pain, including personalities and athletes like Arnold Schwarzenegger, Joe Montana, and Jon Bon Jovi. His extensive work with athletes, ranging from high school football teams to professional players, has allowed him to develop a first-rate Chiropractic Sports Rehab program. Dr. Latronica has also developed programs on the psychology and liabilities of coaching sports to individuals of all ages and body types. In 2008, after graduating from the University of Pittsburgh with his B.S. in Nutrition, Jordan learned that his mission was to fuse healthy eating with positive body composition changes for all of his future clients and to dispel the barrage of fitness and nutrition myths circling the fitness community. He delved deep into the evidence-based community research, combining science with practical application to give his clients optimal results. He went through his own transformation losing 80 pounds after college giving him more confidence and energy, not only for himself but to give to all of his clients. Jordan doesn't believe in magic powders or diet pills, but a long-term, sustainable approach that has you eating foods you enjoy, every single day. Jordan doesn't want you to lose weight, he wants you to lose body fat. Because that is what changes someone's physique for the better. He currently lives in the Philly burbs, with his girlfriend, looking to continue to provide the cure for false nutrition and fitness information by breaking down knowledge gaps and emotional barriers and helping folks get out of their own way to achieve their best health and body ever. He is also back in school pursuing graduate-level coursework in nutritional sciences at Immaculata University in Malvern, Pa.
Great people, great professional support in a caring environment. Dr. Al genuinely cares for his patients. I highly recommend Dr.Al, so grateful for his care. Amazing Chiropractor! So much knowledge of different pains and limitations. A Great and experienced Doctor of Chiropractic.